A former college teammate of Tom Brady's tells Sports Illustrated that the Patriots quarterback's supermodel wife asked him to help convince Brady to retire after last season. Jay Feely, a former NFL kicker who played with Brady at Michigan, told SI's Greg Bishop that while he was vacationing with Brady and his family last spring, Gisele Bündchen spent time "trying to get me to convince [Tom] to stop playing." Feely added that she "was dead serious." But Feely said he told Brady he should keep playing for as long as he can. Brady acknowledged in an interview after last year's Super Bowl win that Gisele wanted him to retire. "If it was up to my wife, she would have me retire today," he said. But Brady has repeatedly said he has no intention of retiring anytime soon. At least not while he's still playing at such a high level. He has said in the past that he hopes to play into his mid-40s. 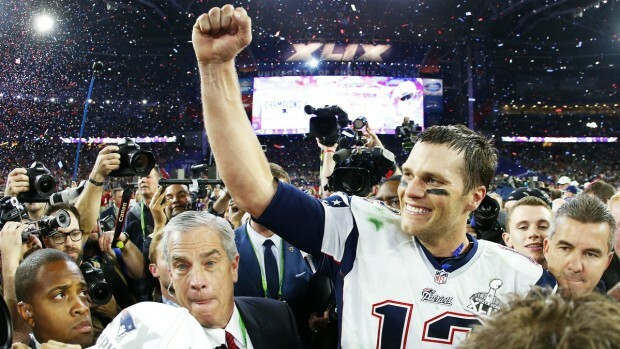 Brady is considered the front-runner for this year's NFL MVP award. He threw for 290 yards and two touchdowns and engineered his 54th career game-winning drive in Sunday's AFC title game to help defeat the Jacksonville Jaguars 24-20.